Click Add to select a VM, the restore points of which you want to transform into full backup files. 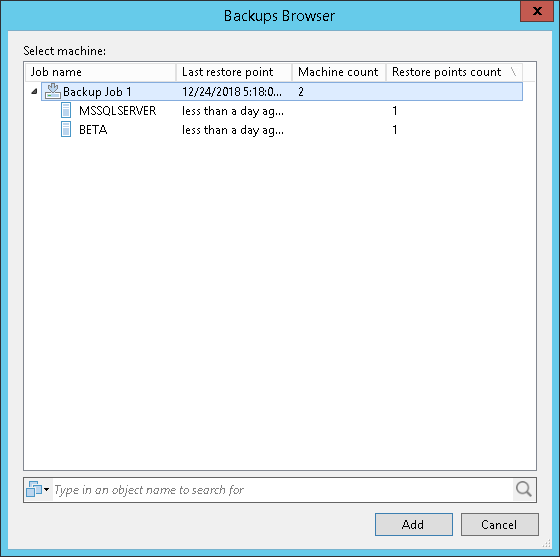 In the Backups Browser dialog, select a backup job or virtual machine. When selecting a backup job consisting of multiple machines, then each machine will be exported as an independent full backup file. Use the search field at the bottom of the dialog to find particular VMs in the list. 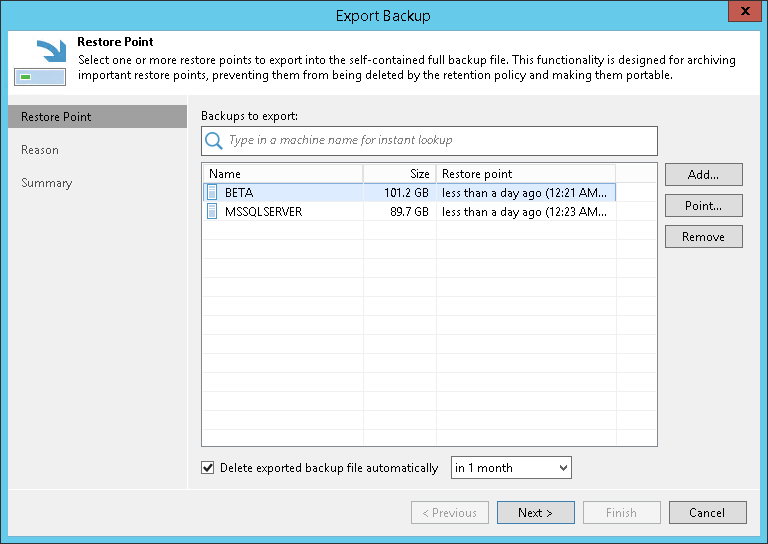 Select a VM from the table and click Point to select a restore point that you want to transform into a full backup file. By default, the latest available restore point is selected. 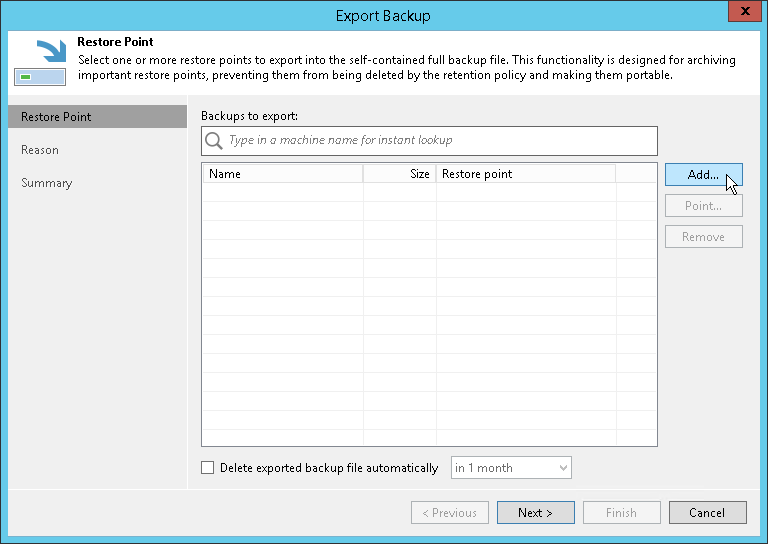 Select the Delete exported backup file automatically checkbox and set up the value in the drop-down list to apply a retention policy for files that are being exported. 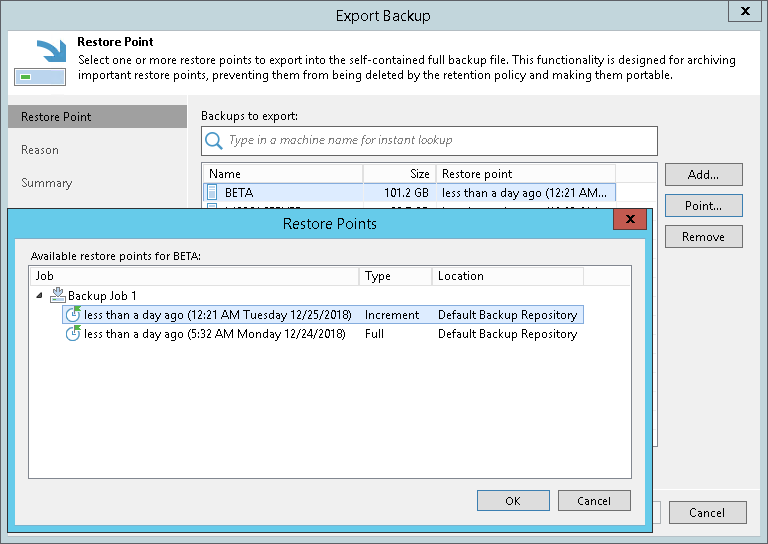 All the exported backup files that fall under the retention policy will be removed automatically. To remove a restore point from the list, select a machine and click Remove.